In some circumstances the watertable approaches ground surface and poses a salinity threat to vegetation and soil structure click here learn more. Pumping from the shallow groundwater system can be a very effective salinity control measure by reducing the amount of water in the system and assisting in lowering of the watertable away from near ground surface and reducing threats posed by salinity click here to learn more. 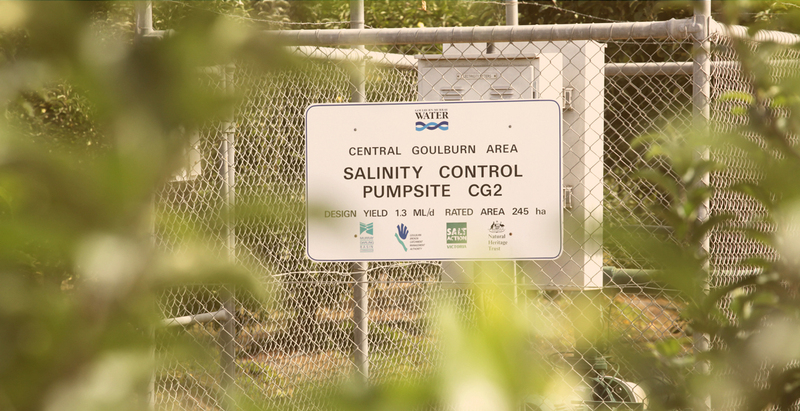 Currently there are around 800 private and 80 public (Goulburn Murray Water operated) groundwater pumping sites assisting with salinity control over significant areas of the Shepparton Irrigation Region, however some areas remain unprotected and there may be opportunity for further groundwater development in those areas.